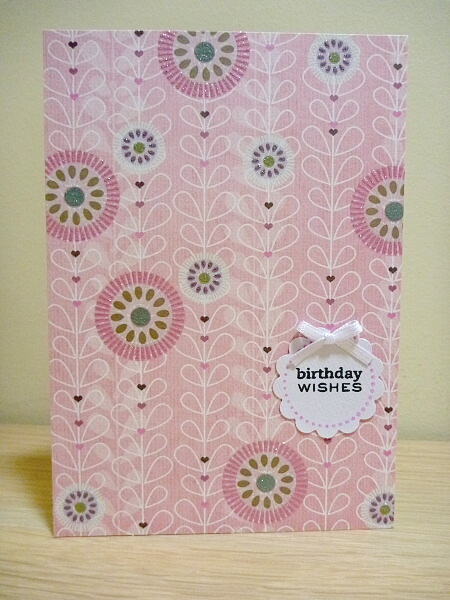 Beautiful card in lovely tones of pink, white and a touch of brown. The large flowers have glitter accents on them and a Happy Birthday flower greeting is complete with cute white bow! Inside the card is left blank for your own message. Card measures approx. 14.5cm x 10cm and comes with envelope and sealed in cello bag.